Geography is an expansive discipline that covers the study of the physical environment and the world's cultures, economies, and societies. It helps us understand and appreciate our changing world. However, the field is often misunderstood and its impact underestimated. This article, which originally appeared in the Texas State University publication Hillviews, highlights the work of graduates from the largest geography department in the nation. Most people know little about geography beyond what they learned in high school. Dr. David Butler, who is a Texas State University System Regents' Professor, admits it can be frustrating when fellow field researchers ask if he studies capitals. "Geography as a discipline is not a memorization of facts," he said. "It's about understanding the distribution of things on the landscape." In 1996, Texas State University established its first doctoral program: geography. Today, more than 100 geography students have received their doctorates. Since 2014, students select one of three areas of focus: geographic education, geographic information science, or geography. These areas replaced environmental geography and offer a greater breadth of study. Geographic studies span multiple disciplines but are usually organized into two categories: physical geography and human geography. The former focuses on landscapes, mapping, and the environment, while the latter includes urban and historical studies and public policy. Throughout its 20-year history, the program has become well-known for its experts in environmental geography, attracting faculty from renowned research institutions such as the University of California, Berkeley. As the university moves toward national research university status, programs such as its PhD program in geography will attract new faculty and additional students. 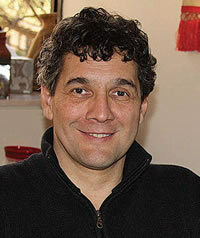 Dr. Alberto Giordano is the chair of the Texas State University geography department. Housed in the College of Liberal Arts, the department is home to 760 students, 52 of whom are enrolled at the doctoral level. The department's 36 full-time faculty members represent a wide range of disciplines within the field. Giordano was just seven years old when he decided to become a geographer. After finishing a primary school project on the rivers of Russia, he fell in love with maps. He would spend hours looking at the shapes and names of places around the world—he wanted to explore. Giordano's three favorite interests as a child in Italy were soccer, reading, and looking at maps. He determined the last would be his career. "What all geographers have in common," Giordano said, "is that they study place." But not just what a place looks like. Geographers ask questions. Why are things there? How did they get there, and why? If you stop to think about it, there are myriad topics in the news that relate to geography. Environmental geographers might study how landforms affect weather and natural disasters such as hurricanes and wildfires. City zoning, gentrification, and migrant travel are issues that would interest human geographers. During election years, politicians use geographic data to communicate with voters. Experts in geographic information science work with software engineers to improve the GPS in smartphones. Dr. Alberto Giordano is the chair of the Texas State University geography department. "Geography runs in the background," said Dawna Cerney, an associate professor and chair at Youngstown (Ohio) State University who received her doctorate in environmental geography from Texas State University, San Marcos, in 2006. "We work in so many different fields with different monikers: analysts, planners, division leaders. You don't know who geographers are until you ask about their jobs." About three-quarters of graduates from the doctoral program become college professors or join college faculties. Cerney notes that some of her students' families have a hard time understanding exactly what kind of career can result from a degree in geography. For Todd Votteler, the doctorate he received in 2000 set him on a career path that led him to research and gave him an opportunity to effect local change. As executive manager of science, intergovernmental relations, and policy at the Guadalupe-Blanco River Authority, he handles scientific research projects and works with local governments to establish public policy. The geography of Central Texas makes water a major issue for environmentalists, politicians, and business owners. Because the authority's reach spans 10 counties, from San Marcos down to the Rio Grande Valley, Votteler does quite a bit of traveling. Jon Kedrowski takes traveling for work to the extreme. 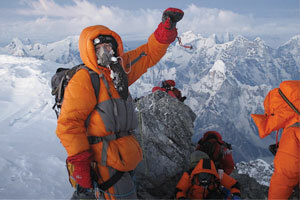 He is an accomplished mountaineer who has scaled (and camped out on) mountains around the world, from Colorado to Nepal. In 2011, he camped out on every 14,000-foot-high peak in Colorado and wrote Sleeping on the Summits (Westcliffe, 2012) about his experience. Kedrowski's adventures don't come without danger. The year he climbed Mount Everest in 2012 was one of the deadliest, and he witnessed firsthand the devastation of the earthquake in 2014. Kedrowski, who received a doctorate in 2010, based his business on his experience in geography. He applies his knowledge of mountain environments to developing new products, training other mountain enthusiasts, delivering inspiring speeches, writing books, and teaching the next generation of geographers. If the study of place is the common thread that runs through all geographic research, passion is what drives all geographers. From Giordano's childhood research project to Kedrowski's desire to explore the world, geographers study the discipline because they love it. Amanda Inniss Beck is the principal and owner of Amanda Beck Creative, an integrated marketing communications company based in Austin, Texas. Her company works with nonprofit organizations, higher-education institutions, and companies that want to do cause marketing or corporate philanthropy. Beck has a bachelor's degree in English writing and rhetoric from St. Edward's University.